We headed off to London in search of a van worthy of tackling 14,000 miles around Europe in 3 and a half months. Beforehand I had to make it past the UK customs and they were certainly not a fan of me that’s for sure and being detained is not a thing to be proud of. I presented my passport to the customs officer, she flicked through, stared me down, scanned it, did the double check on her screen and then handed me a note explaining I was being detained, oh great! The reason for this complication through customs all happened a year prior to this UK border incident. I was surfing my way down the west coast of Mexico across the bottom and then travelling back up and into the states. I had then planned to fly out from NYC and over to London. From there work for 2 months as a plumber (my trade) before the snow season started in Chamonix, France, which I had a job lined up as a chalet host. Before I was to leave the states in direction of London I needed a UK mobility visa, which would allow me to work in London and over in France, as the company who were hiring me for the job in Chamonix were a UK based company. 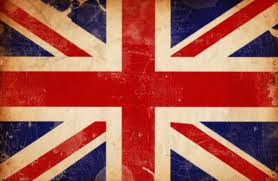 So whilst in Puerto Escondido (Mexico) surfing my brains out with my mates I applied online for this UK mobility visa. I booked an appointment for 2 months time to get my bio metrics taken (finger prints and photos) in Dallas Texas, printed out all the documents I needed, the application, copy of passport, bank statements and etc. I continued on my travels and once I arrived in Dallas Texas, I successfully had my bio metrics taken and sent my passport along with all my supporting documents to the New York UK Embassy. Yayy its in full swing! Once I could pick up my passport in NYC I could book my ticket to London and start the next chapter of my adventures. However as my fellow travelers know, whilst on the road planning too far in advance is complicated and usually these plans change drastically. So there I was in NYC with no money or accommodation (detailed blog to come) waiting for my passport with my UK visa stamp in it so I could dart over to London and start earning some cash. I eventually got my passport back which was relieving after covering so much of the states without it. Like a phone operator casing the phone book, I rapidly flicked through each page to check out my cool new UK visa . . . application unsuccessful. WHAT! No way. I stormed over to the UK Embassy in New York and politely asked why (you can’t be to forward with these egotistical types). “Because when you applied online for the visa you didn’t have enough funds in your account” I was told. “I have sufficient funds in my account and you have a printed copy of it”, I replied cool calm and collectively. “Yes this may be true but at the actual time of application (when I was in Mexico) you didn’t have sufficient funds in that account”. I was told whilst my face sunk along with my spirits as my snow season plans for France faded off into the abyss. I was in the middle of the big apple with no UK visa, a shortage of money and no ticket out of there. When I was in Mexico, I applied online for the visa and right after the application was complete, I transferred funds into my bank account and printed off the bank statement along with my other supporting documents. So lesson learnt BEFORE you apply for any visa, be sure to have sufficient funds in your account at that moment. Don’t fill out the application and then transfer your money thinking nothing of it like myself. This is not a situation you want to end up in. “Have you ever tried to enter the UK before Mr Krause?” the UK interrogator aggressively asked, once I had waited for hours in customs. “No never” I replied courteously. “Have you ever been denied a visa to the UK?” Oh great, I am not getting in am I say to myself as I try to comprehend what might happen. I know now for certain, my plans to travel Europe for the next year are ruined. “Uhh yes sir, I was denied a visa”, “Why?” he shouted, “insufficient funds” I negatively replied. “What’s this flight?” he asked holding up my flight Itinerary to Oslo Torp, “and don’t you dare lie to me about this either or I will tear you apart” as though everything else I said to him was a lie. Tip – Before you enter the UK as a visitor you must have a return flight or a flight out of the UK before your tourist visa (you get on arrival) expires. I was prepared for this and had a flight booked to Oslo Torp in Norway (the cheapest flight out of the UK at the time) for 2 days later than my date of arrival. These guys are good I thought and I proceeded to explain my situation. “Ok sir, I am here in London to buy a Van to travel through Europe in, we will have the car and be out of the UK within a week. I booked this flight before I left home as proof of leaving the country”, “You do know this is my job and I knew you wouldn’t take this flight” Geez give me a break I thought “yes sir I replied” Before he could get another word in I explained “I was traveling through the states and applied online for the youth mobility visa, I printed off all my supporting documents and had my bio metrics taken, but on the time of application (online) the correct amount of funds were not in my account and even though I had proof of funds I was unsuccessful” He viciously stared into my eyes as though he was searching for the real truth. “How much money do you have now?” he asked “I have X amount, here it is on my bank statement” I showed him. “That’s not enough to cover Europe”, “I have money invested, I trade, I can log in online and show you if you like” as I pointed to the computer “he blatantly looked at me as though he could easily lock me up if he wanted “If I see your face again, you might not be so lucky” He threatened me whilst stamping my passport and shoved it into my chest signalling to get out the hell out there with his index finger . I let out sigh of relief as my palms were clammy from the interrogation whilst walking over to greet my mates in freedom. “What happened?” they asked as we caught the tube to our London hostel, which I was so glad to be heading to after that situation. Has anybody else been interrogated or have a intense/funny customs story? 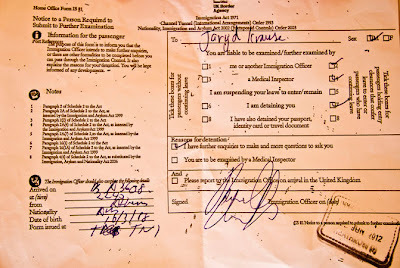 Upon my reentry to the US (my home country) I was detained by the US Customs and Border Protection (CBP). While I was released after an extensive baggage search, about two hours of questioning, the ordeal was not over. The bastards confiscated my cell phone (who remembers telephone numbers), laptop, cameras, and USB storage devices for a “forensic analysis”. I finally got it all back after almost two weeks. Now I question if my electronics devices are being “tracked” by some government agency (I have replaced my laptop and cameras). 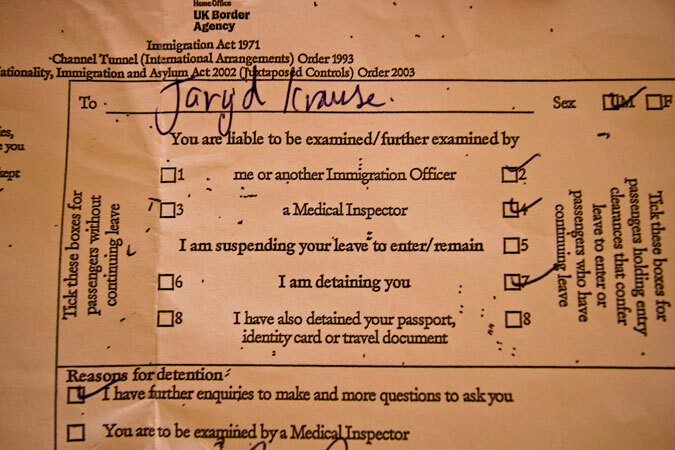 Never in my life did I dream I would be detained by Immigrations when entering my own country. But it happened.